Infiniti has announced prices for its new Q60 sports coupe, which goes on sale in Europe in Octobers. 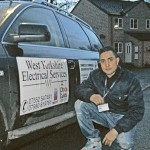 Prices for the entry-level version of the car will start at £33,990. In this guise, the Q60 is powered by a 2.0-litre, four-cylinder turbocharged petrol engine producing 205bhp. Moving up the range, buyers will be able to specify their Q60 with a 3.0-litre, twin-turbocharged V6 producing 395bhp. This model will arrive on showroom floors at a later stage, and prices are set to be announced at the 2016 Paris Motor Show. Roland Krueger, president of Infiniti, said: “The Infiniti Q60 conveys a powerful elegance through its daring design, and has the performance credentials to match – thanks to next-generation ride and handling technologies and up to 400 horsepower. 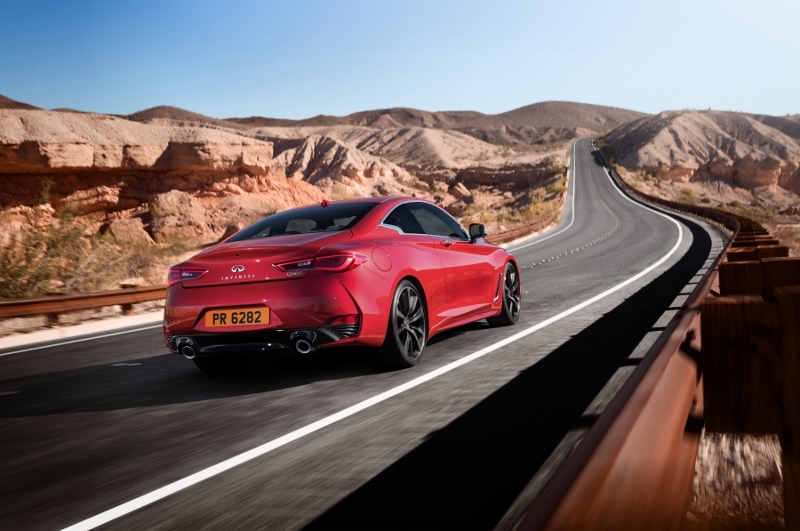 Infiniti has engineered the Q60 to deliver what it hopes will be a “truly engaging sports coupe experience, with a unique balance of compliant ride and agile handling”. To work towards achieving this, Infiniti developed its new Dynamic Digital Suspension – which it claims offers improved handling responses, agility and ride comfort, thanks to the inclusion of new dampers. 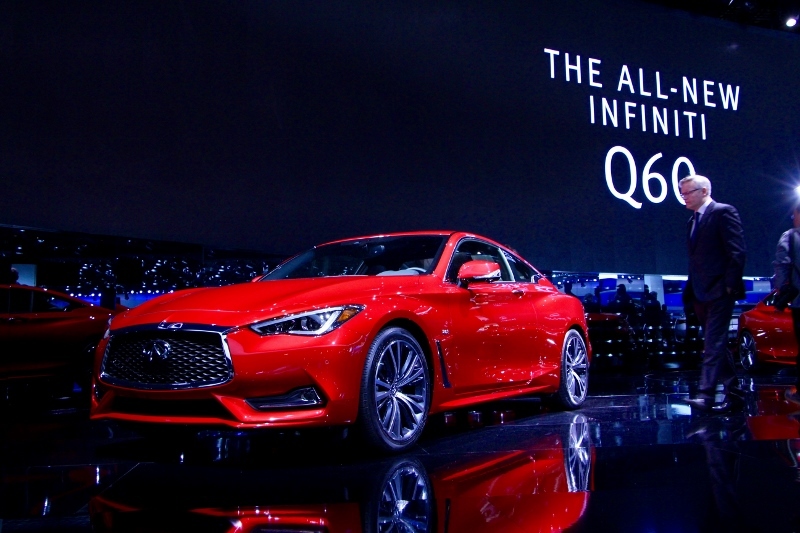 The Q60 also features an updated version of Infiniti’s Direct Adaptive Steering system for greater levels of feel and feedback, while Drive Mode Selector allows buyers to alter the steering set-up to match their preferences.